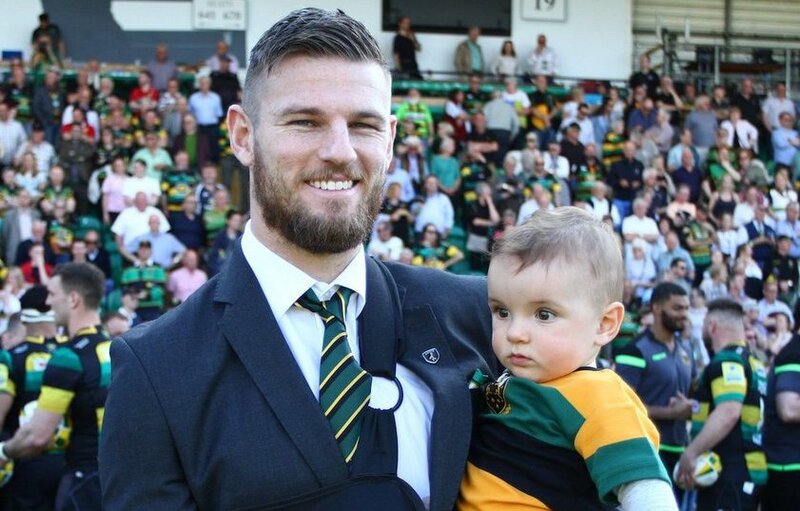 Northampton Saints are delighted to announce that they will welcome East-Midlands rivals Leicester Tigers to Twickenham in round six of the Gallagher Premiership in aid of former Saint Rob Horne. The Australian international centre was tragically forced to retire from rugby at the end of last season after sustaining a career-ending injury playing in Saints’ victory over Tigers at Welford Road. But Horne will now be honoured on Saturday 6 October (kick-off 3pm) as two giants of English rugby resume their intense on-field rivalry and lock horns again in the Gallagher Premiership. This will be the first time the two rivals have met at Twickenham since the 2013 Premiership Final. Saints new director of rugby Chris Boyd added: “This is a great opportunity for the Club and a great chance for the rugby family to get behind Rob. The move to host the game at Twickenham was also welcomed by David Lowrence, Chair of the Saints Supporters Club. “At the time of Rob’s injury, there was a tremendous desire from Saints supporters to honour a true Saintsman,” he said. Tickets prices start from £20 for adults and £10 for juniors. To purchase tickets please CLICK HERE.